The Spanish economy has had its share of negative economic news in the fourth quarter of 2008. The downturn in the construction and automotive sector and difficult access to credit have led to rising unemployment and declining consumer confidence. However, there are many opportunities just now because of the effort of de Spanish Government to ease the pain by public investment, taking advantage of its relatively low national debt level. 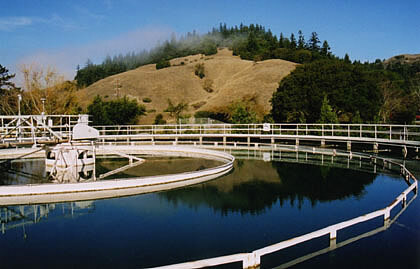 Several of the opportunities are to find in the sector of water supply and –treatment. First of all, in June 2007, the Spanish Government has approved the so-called “Plan Nacional de la Calidad de las Aguas 2007-2015” (National Plan for the quality of Waters). In this water plan an investment of up to €19 billion is planned to improve the Spanish water supply to a European level. Areas of action: capture a higher percentage of drinking water from waste water, more desalinisation installations, prevent the infiltration of salt water into wells, etc. Secondly, in December 2008, a Royal decision came into force. The Spanish Government has disposed an amount of €11 billion to the Spanish municipalities for a range of projects that can provide direct employment and at the same time resolve long existing local issues. A considerable amount of investment could go to public water treatment installations in those cities where acute improvements are needed. Spain has followed the traditional approach when it comes to solving environmental issues, starting much later than other countries in Northern Europe. First the vector ´water´ was dealt with in the years ´80 and ´90. Halfway through the ´90s the waste issue came on the political agenda, slowly followed by the air- and soil legislation. Despite the catching up there is a lot of work to do for the European providers of environmental technologies in Spain. Probably because of the existence of many problems in Spain (quality of drinking water, desertification, contaminated soil, smog in towns, ...) the environment came out as top priority for Spanish citizens, above items such as politics, economy, safety and sport, according to an extensive research executed by Fundación BBVA (published in 2006 and validated in 2007). Desiccation and a lack of quality concerning drinking water are problems which have beeen haunting Spain for years. Decent water control is getting more important. The enormous drought in the summer of 2008 in Catalonia led to a very restrictive policy on water use. In Spain there are already more than 1.000 desalination installations (the large installation near the Llobregat river in Barcelona will be starting halfway 2009), however, the additional environmental problems and an extreme high energy consumption are causing more and more resistance. At the end of November 2008 the Spanish Government got fined by the European Commission for the fact that 402 medium to large communities were still discharging untreated sewage water in areas with a sensitive ecological infrastructure. According to a report of Transparencia Internacional in December 2008 there are over 500.000 illegal wells in Spain (only the ´pozos´ with more than 7.000 m3 were registered). This comes on top of the fact that the government only controls 20% of all existing wells. According to the report 44% of all consumed water in Spain is obtained illegally. If the current economic model is maintained, in 2015 there will be a shortage of 5.260 cubic hectometre compared with 2001. The future demand of water for both household and industrial consumption is high, however an integrated policy is missing. In some cases there are large public (biological) water treatment installations, while the industry is left alone. One of the focus points of the government is the further enforcement (and stimulation) of decentralised, smaller waste water treatment installations for both industry and smaller municipalities. Turnover in the Spanish market for environmental technology is yearly estimated at €1,5-2 billion with a growth of up to 5%. Investments in civil works and services around the implementation of environmental projects are hereby not taken into account but imply a large multiplier. In January 2009, research by the Fundación Forum Ambiental demonstrated that 65% of the interviewed companies active in the environmental technology sector are expecting to grow significantely in the following years. Growth is among other factors stimulated by climate change and obligations under the Kyoto agreement that have to be met before 2012. The challenge to answer the demand for clean water through sustainable water management is not easy. Important stimuli come from the “Plan Nacional de la Calidad de las Aguas 2007-2015” and, of course, out of the recent investment program Fondo de Inversión Local of the Zapatero Government which is channelling more than €11 billion to Spanish communities this year to create employment and start new and finish already initiated infrastructural projects. An important part of this amount will be invested in municipalities to solve their water issues. This means that there are enormous opportunities in this area for European suppliers of innovative and cost effective water technology. However, urgency is important, because of the tender procedures. Furthermore, it is very importante to be able to count with the right local partner to acquire access to the municipal market. Interested? Please contact us, or call our office in Barcelona, Mr Sven Kallen, tel: +34.93.272 47 90.